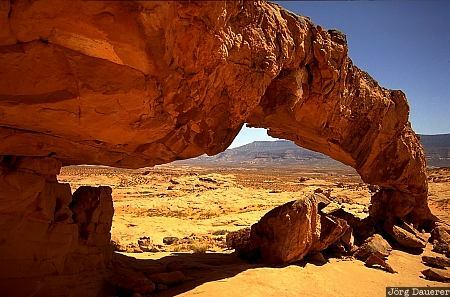 The impressive natural arch "Sunset Arch" near Hole in the Rock road in Grand Staircase Escalante National Monument in the southern part of Utah, United States. This photo was taken on a sunny noon in May 2002. This photo is part of the exhibition Natural Arches (June 2014). This photo was the image of the month in August of 2016.